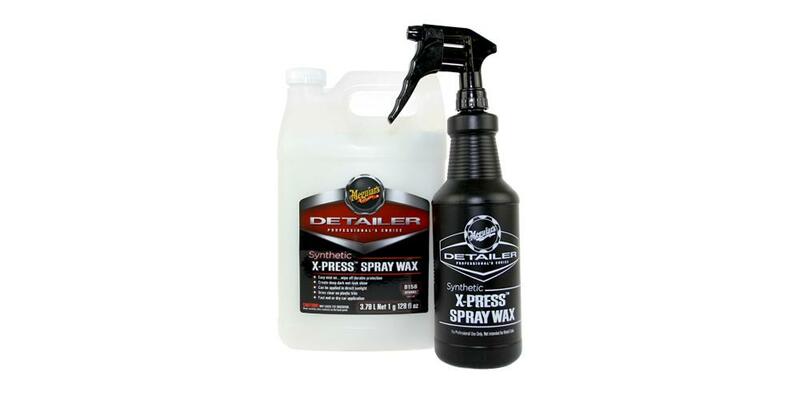 We have hand picked each item in the Meguiar's Synthetic X-Press Spray Wax D156 Kit because they are highly effective when paired together. To create the best kit possible we utilize our years of detailing experience, combined with input from some of the best detailers around the country. We are confident you will get outstanding results with each item and really enjoy how your vehicle looks afterward. Save 5% off of the retail price of individually purchasing these items! This is a MUST for every car detailer or car enthusiast!! Work amazing on paint, plastic, rubber & even glass. Incredibly easy to use. Amazing product!! As with all Meguiar's products the D156 is easy to use and provides a great shine and is great to keep your vehicle shining in between details. I use it on the door jambs and every where I can. It keeps my vehicle looking great without a lot of time and effort. This stuff is awesome. It makes dark colors shine and will give your customers the real deal! Use it everywhere inside and out. Love it!